All lamps burn out eventually, but when this happens with single ended MSR GoldTM FastFit, it is replaced in seconds - thanks to the specially designed lamp base and lamp holder. 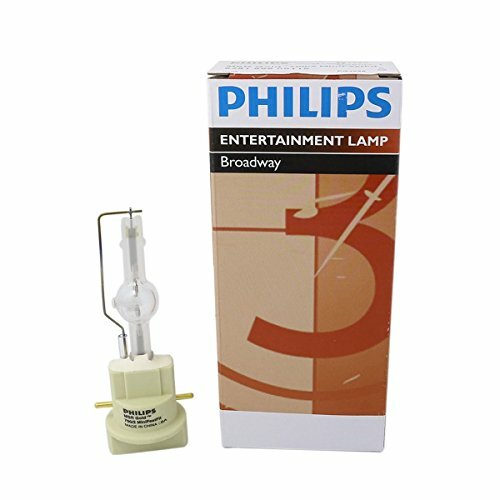 This lamp provides a high beam intensity of pure, white light for a truly illuminating performance, while the gold-plated caps provide superior heat protection and prevent premature failure. P3 technology allows use in any position and at higher temperatures, further extending lamp life and consistency of high-quality light output. Also, because the FastFit design is applied to Philips Halogen lamps, switching between lamp technologies can be done quickly and easily.The Philips MSR GoldTM 1200 FastFit can be operated in a lamp wattage range between 800W and 1400W.